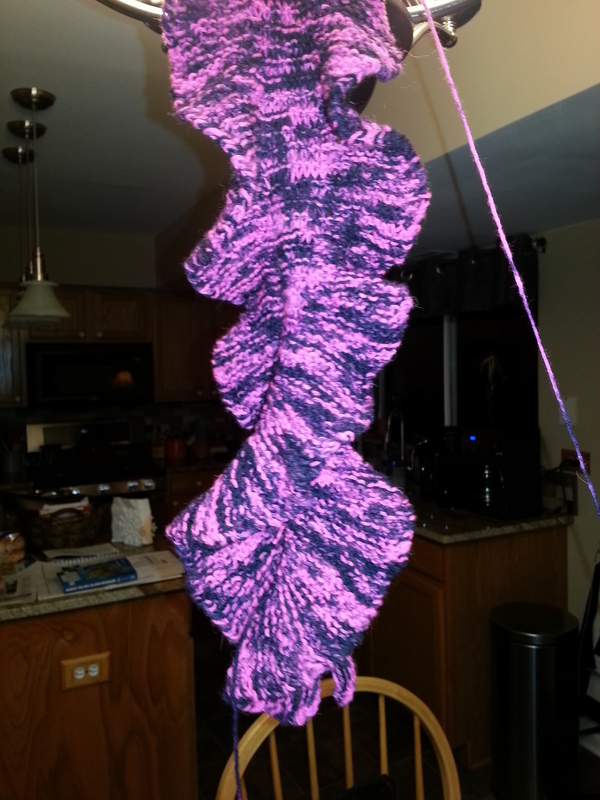 This has been a good week for my projects and knitting in general. 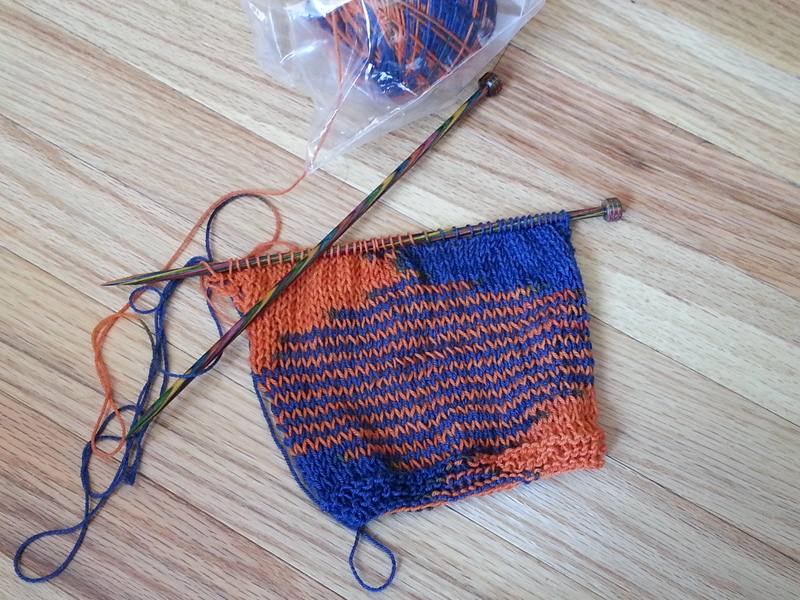 Saturday I went to Stitches Midwest. 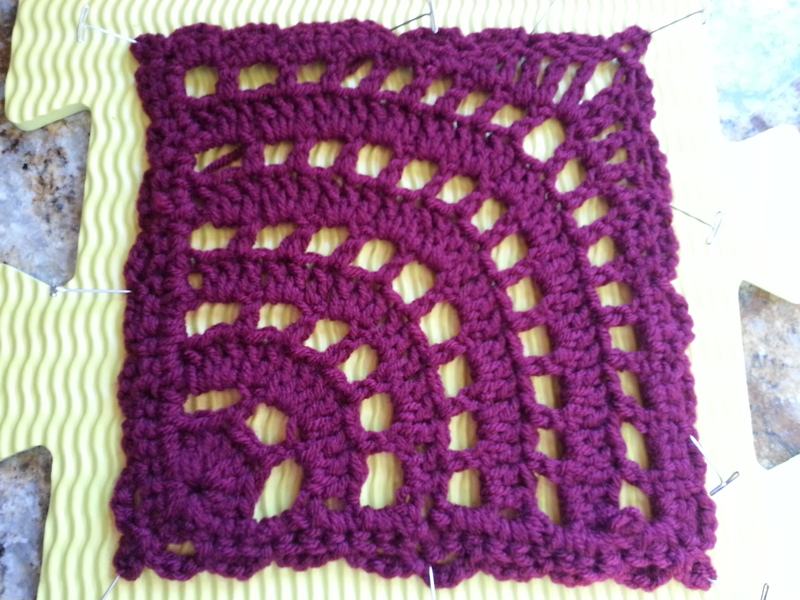 I didn’t sign up for any classes or sessions because I wasn’t sure I’d be able to make it to Stitches at all, so I was happy just to go and drool over all of the wonderful yarns, patterns and beads displayed. 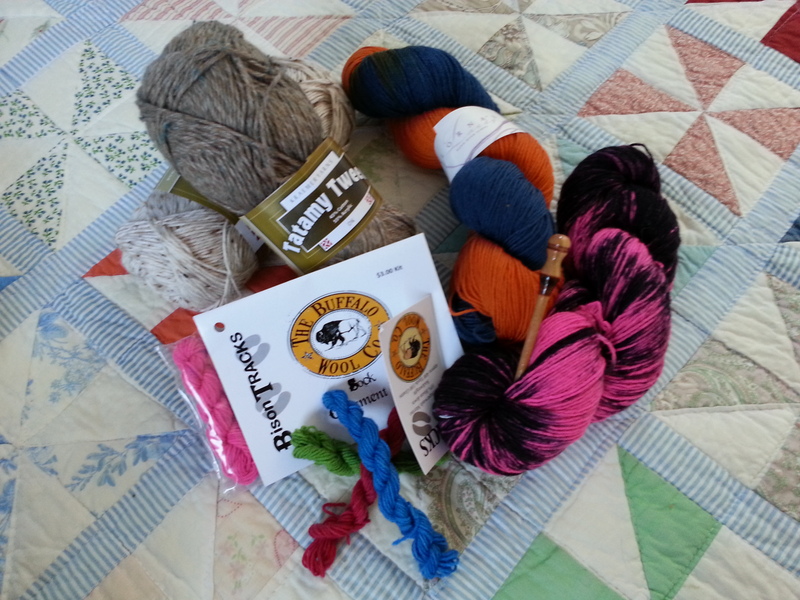 I though I used great restraint by purchasing yarn that I couldn’t get locally. 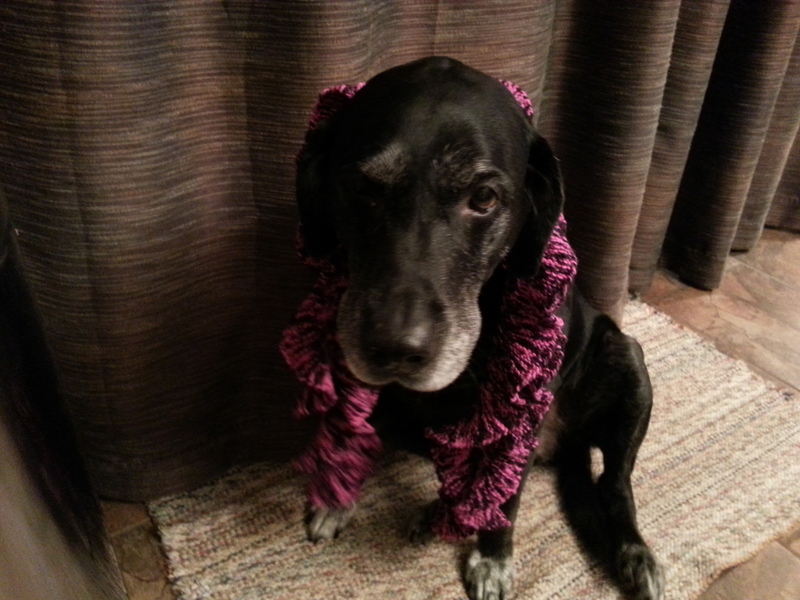 The shocking pink and black hank is bison, as well as the tiny colored twists. 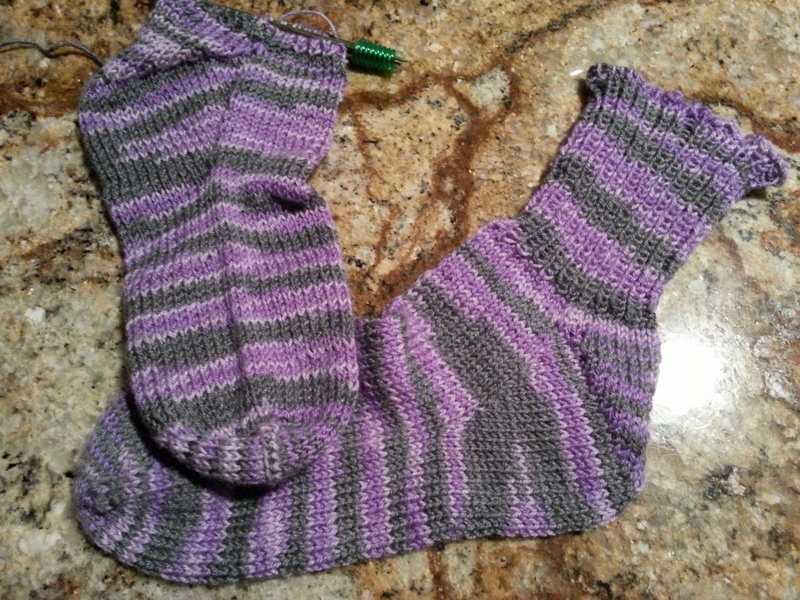 The pattern is for tiny Christmas socks to go on the outside of packages for my girls. The blue and orange (GO BEARS!) 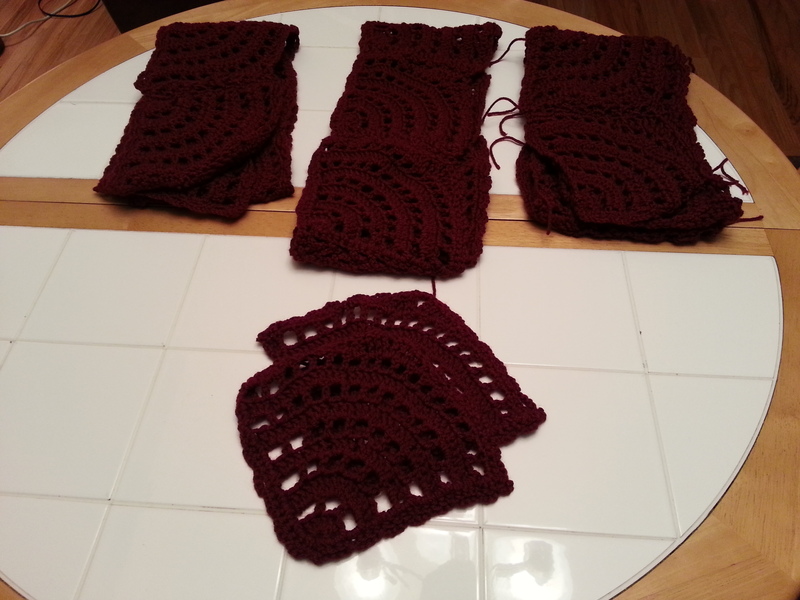 is for a Christmas gift – I found a great scarf pattern that I can’t wait to start. 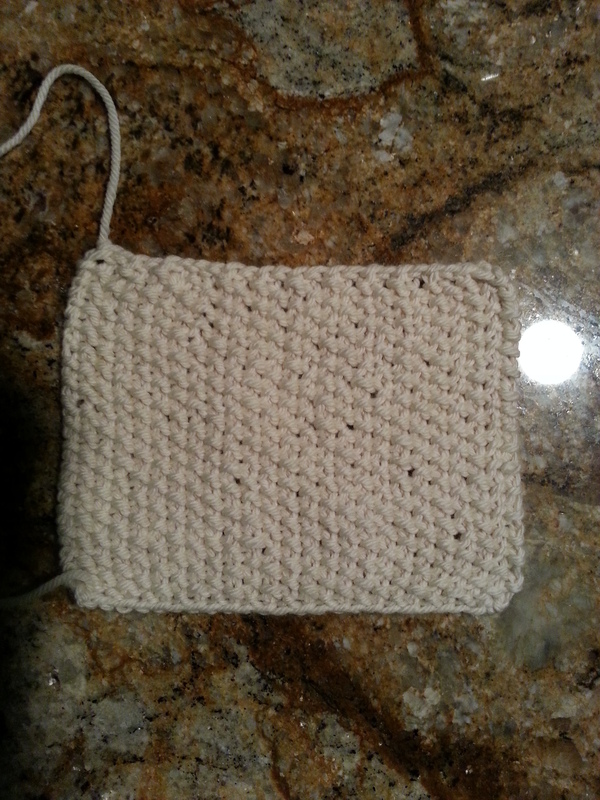 The cotton in 2 shades of brown/beige is for simple dishcloths. 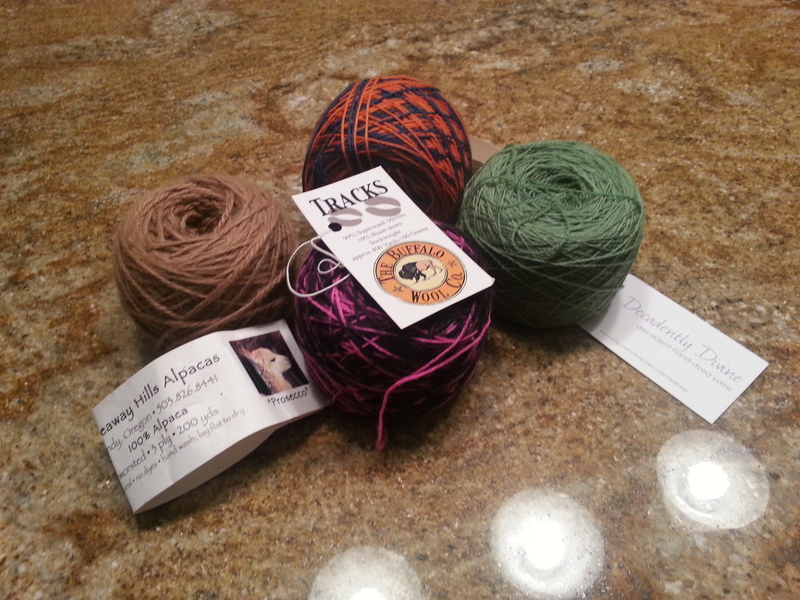 I also found some lovely topaz colored beads for the mystery scarf I am going to start next month. My stash grew but in my own defense I am using it already, so it is only temporary. Speaking of stashes, I found a nifty way to store some of mine. 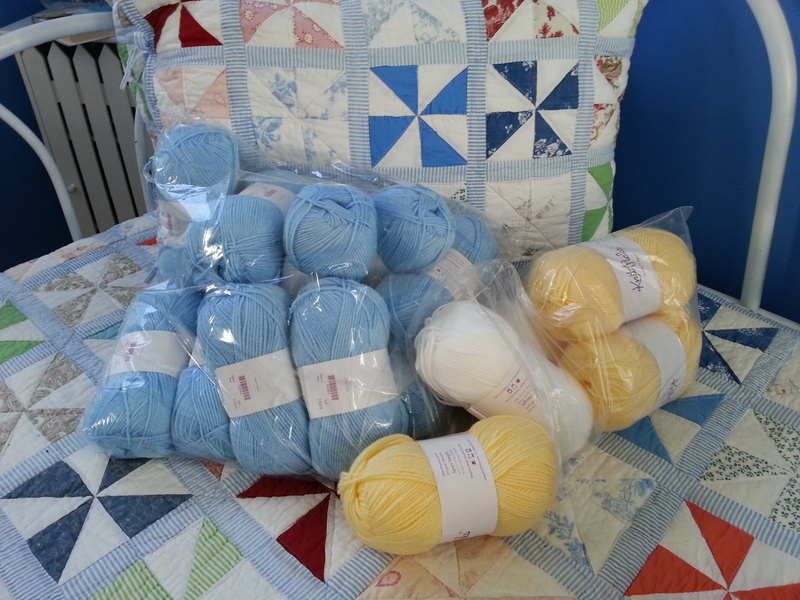 I put the yarn and patterns I have in my queue in individual Ziploc bags. Then I used a marker to note the project on the outside. Next I used a wooden pants hanger to hang them on the rod in the closet were I keep my stash. 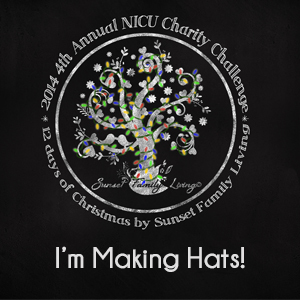 Very tidy and easy to see what I have. 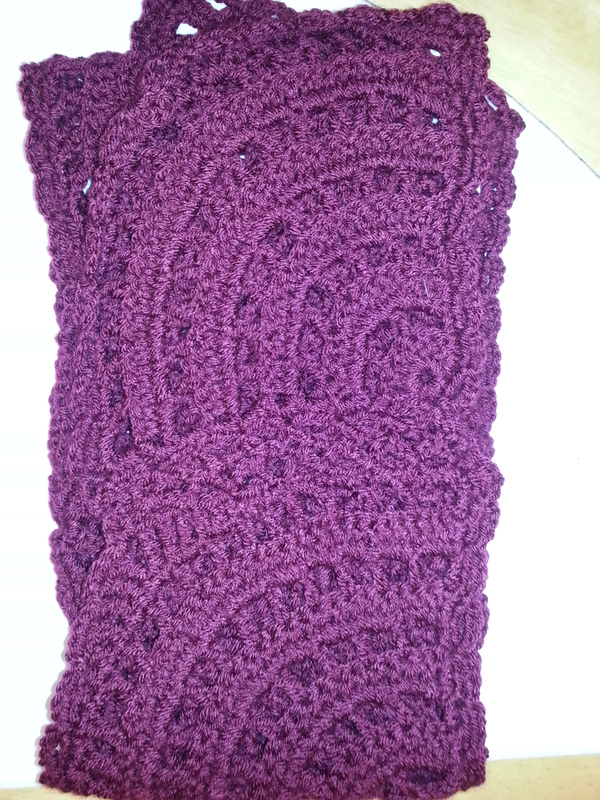 * shawl – almost 1/2 way complete. 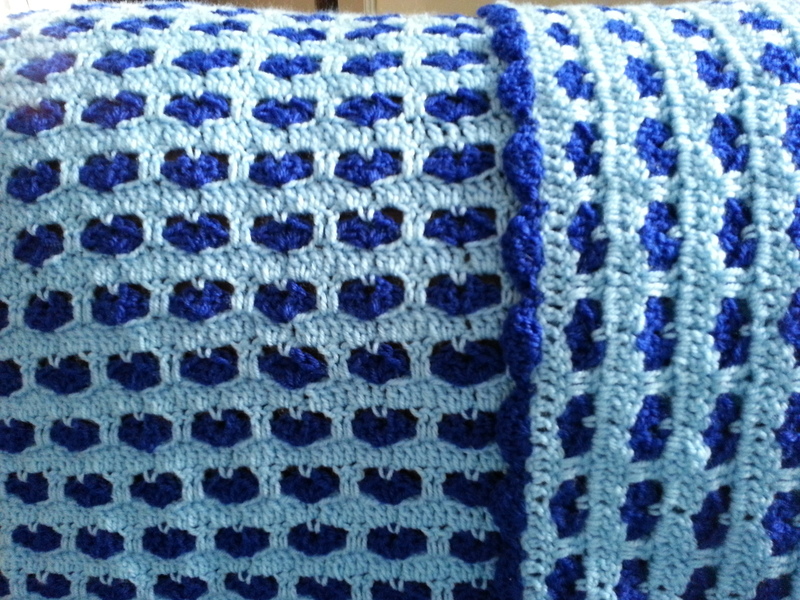 * baby blankets – yarn arrived, first one started. 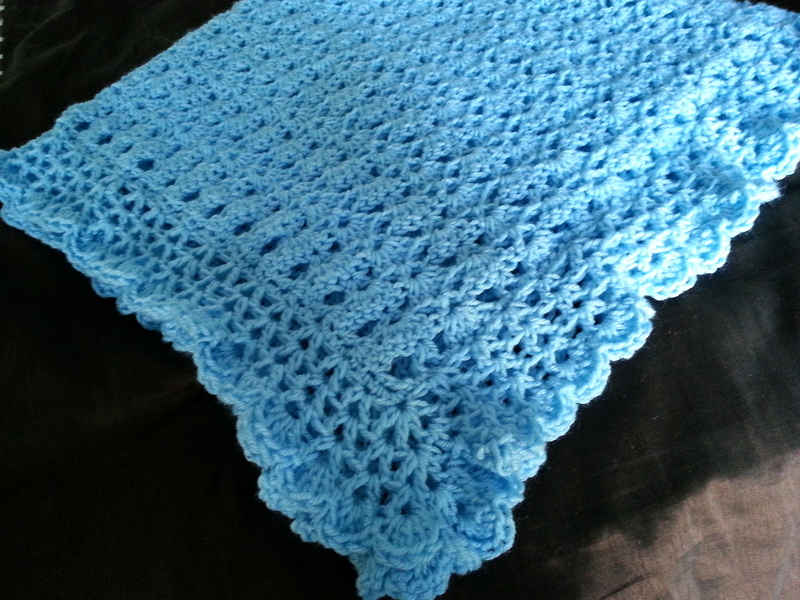 I am using a different pattern, Cloud Soft Shells from “Our Best Baby Afghans” by Leisure Arts. 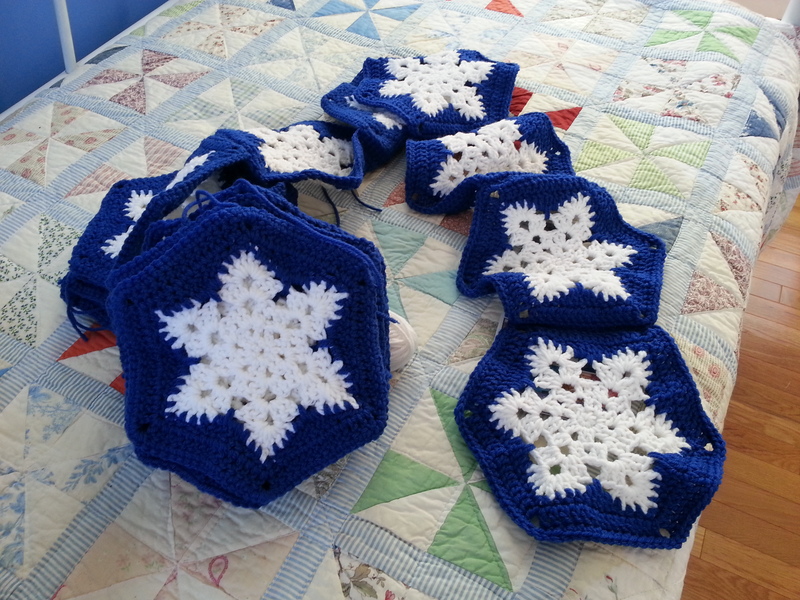 * Snowflake afghan – 26 of 50 squares completed/4 strips sewn. 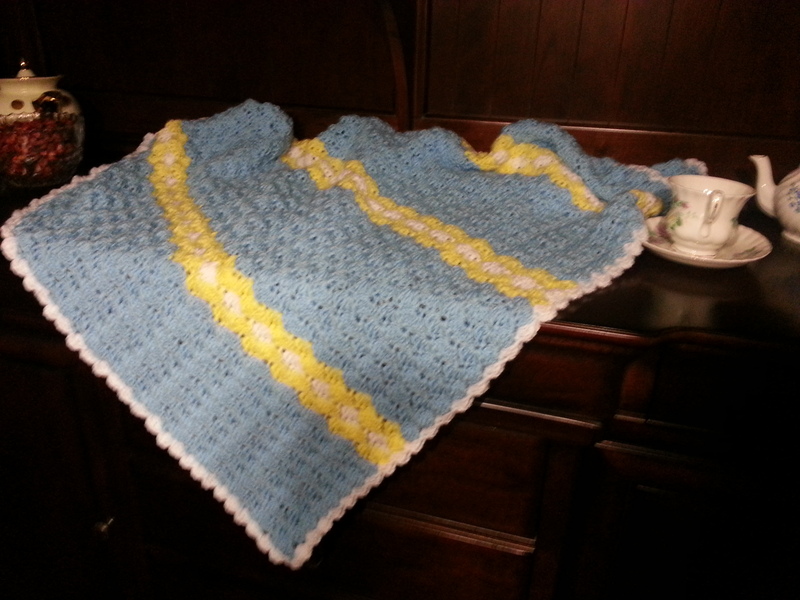 Below are a couple of pics of my project and the baby yarn for the blankets.